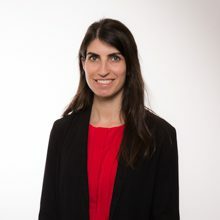 Emilie McConaughey joined LALIVE in 2012 and practices mainly international arbitration, both commercial arbitration and investment treaty arbitration. She has acted as counsel and as administrative secretary to arbitral tribunals in a number of international arbitral proceedings, both ad hoc (UNCITRAL) and administered (under the rules of ICSID, ICC, SCC, Swiss Rules and CEPANI). She has experience in disputes in a variety of sectors, including energy, construction, telecommunications, and real estate. Emilie McConaughey is a French qualified lawyer. Before joining the firm, she trained in Paris with a boutique firm specialised in international litigation (2012) and with a German firm (2011). She also interned with LALIVE (2011) and with a boutique firm specialised in mediation in Bern (2009). Emilie McConaughey graduated (Master in Law) from the bilingual French-German program of the Université de Paris Ouest Nanterre la Défense and Universität Potsdam in 2012. During her legal studies, she spent a year at Emory School of Law, in Atlanta Georgia (USA) as an exchange student.